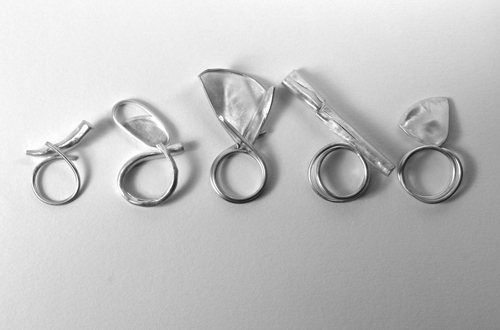 Top: Jennifer Lee Hallsey, Untitled Rings (deconstructed, reconstructed) nos. 1-5, Fine and sterling silver. 2014. 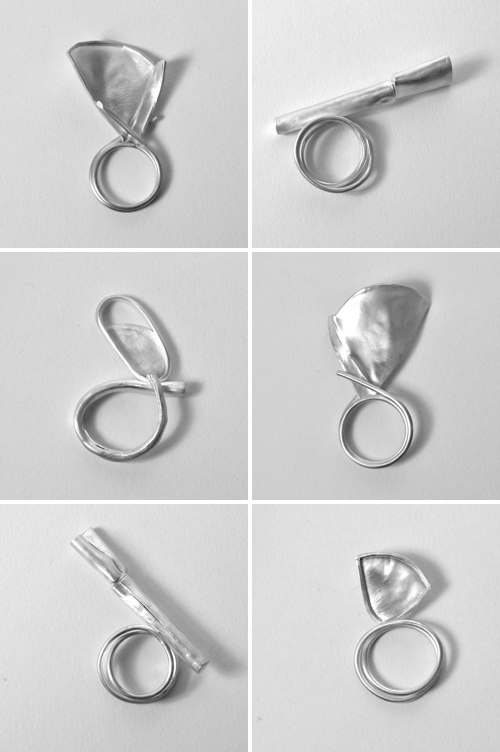 Bottom photos (1 – 6): individual rings, details.